The only paddle-wheeler ever owned by White Star, Gallic was built by John Scott & Co., for the Corporation of Birkenhead in 1894. Named Birkenhead, she served that company as a ferry operating out of Liverpool until 1907. 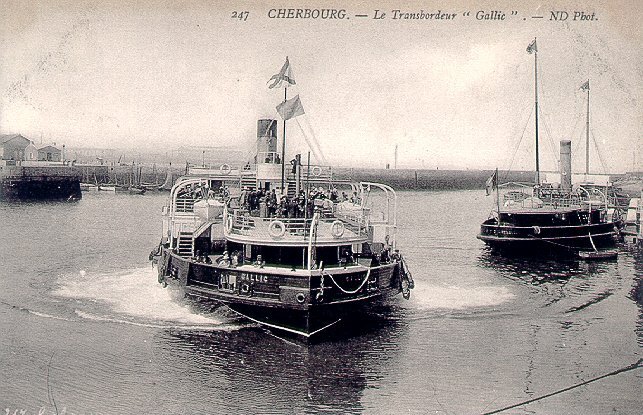 When White Star began calling at Cherbourg in 1907, it purchased Birkenhead for use as a tender, and renamed her Gallic. She served at Cherbourg until she was replaced by Traffic II and Nomadic II in 1911. She then returned to Liverpool and was occasionally used as a baggage tender until laid up in 1912. Gallic was broken up on the Mersey in 1913.